Let us, purehosting, manage and run your social media channel. We are not a call centre, we are running as a small team therefore all your social media content will be managed under one team. You will receive a one on one consultation and your accounts will be managed by a team of talented and experienced individuals. No matter what sector your business fits in we provide a full personal service, from engaging and reaching out to your customer on a daily basis, to monthly reporting insights outlining the success of each of your social media platforms. At purehosting we tailor your company’s’ goals and aims to your social media strategy. The perfect package to start putting you in front of your target market. Advertising will be an added on cost depending on requirements. Monthly Report On Interactions Of Social Media Page. The perfect package to tailor make your social media experience for your clients. Did you know that there are 3 billion users of the internet and 2 billion of them have active social media accounts, but, how does this help you as a business. You are able to understand who your customers are what they like and what their interests are. From these insights you are able to tailor marketing campaigns towards your target consumer base. In today’s business world, having a social media presence helps you connect with your target audience. Ultimately it is most likely to increase your customer retention and your company’s brand loyalty. 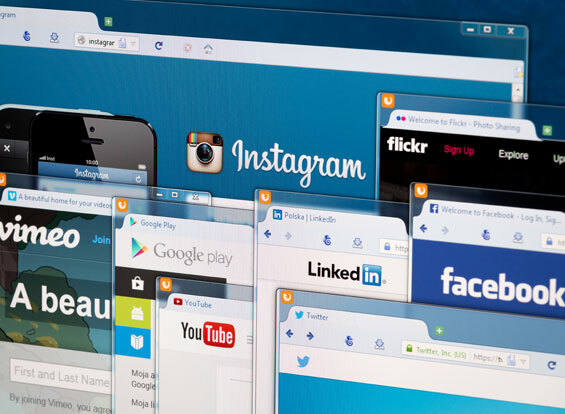 Advertising on social media platforms is an inexpensive way to boost your marketing campaigns to get higher results and will ultimately lead to increased sales and brand exposure. Another benefit of using social media platforms for advertising, is that it offers targeting options so that you can reach the right audience, location, gender, age, job title,likes, interests. Finally another advantage of this is the tracking and measuring of social ads in real time. Your target audience expect you to be on social media. Over 67% of consumers go to social media pages for customer services, they also expect faster responses and 24/7 support. Therefore ensuring your company is on social media platforms will improve and maintain your customer’s experiences. One of the most important benefits of social media for any business is that it will increase website traffic. This is simply done by more content which is published on to the company site regularly. Markets using traditional marketing channels have faced challenges of knowing if content is being shared. With the use of social media sharing content has became faster and easier. Social media does not just allow you to market or sell your product or services but it is allowing you to have a two-way communication channel where conversations are created- which helps breaks the barrier between consumers and the company. As well as managing relationships, good reputation is maintained too. It is has been said that one disappointing comment can lead the loss of 10 potential customers. Therefore it is crucial that businesses’ online presence is managed and monitored regularly, especially social media activities. In summary maintaining your business’ image is very important; negative comments about negative businesses practise can destroy the image of a business in any business sector and thus lead to lower sales or even a decrease in your consumer base. Thanks for your interest in our Bronze package, please complete your details and we’ll send across a full breakdown on the services including how they work and the results you’re likely to achieve.